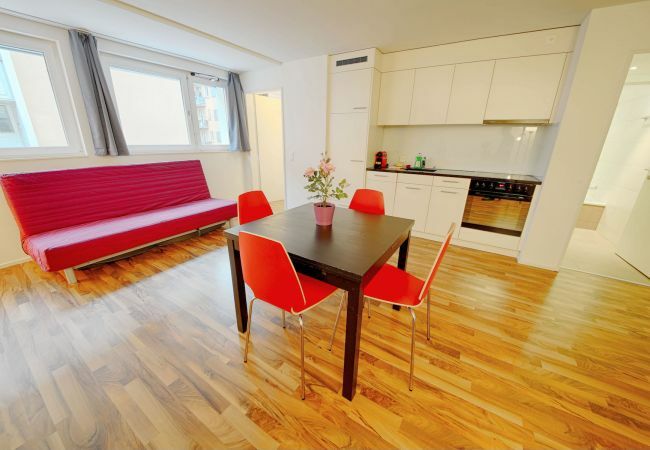 Furnished business apartment with one bedroom, fully equipped kitchen and terrace in a central location in Zurich Altstetten. 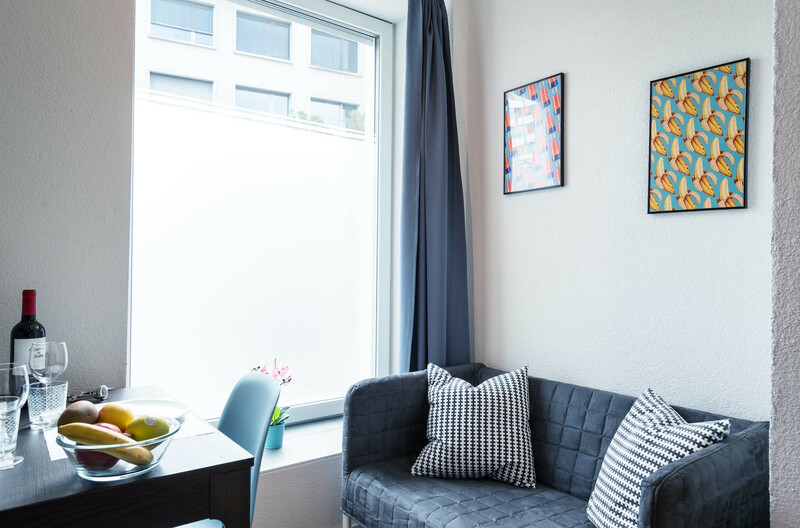 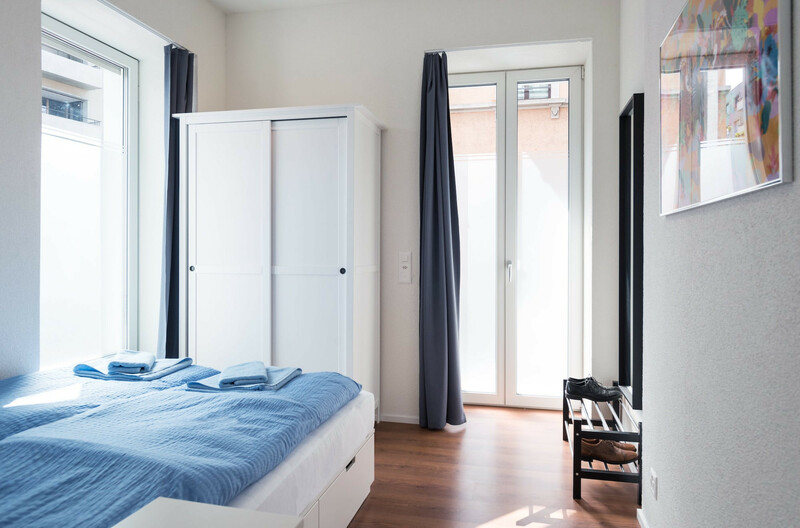 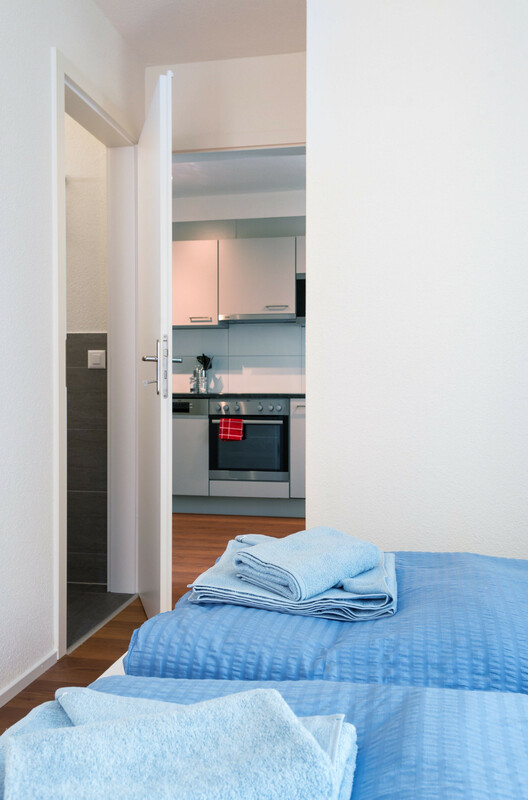 The Business Apartment at Buckhauserstrasse 16 is ideal for people who are in Zurich on business for a longer or shorter period of time. 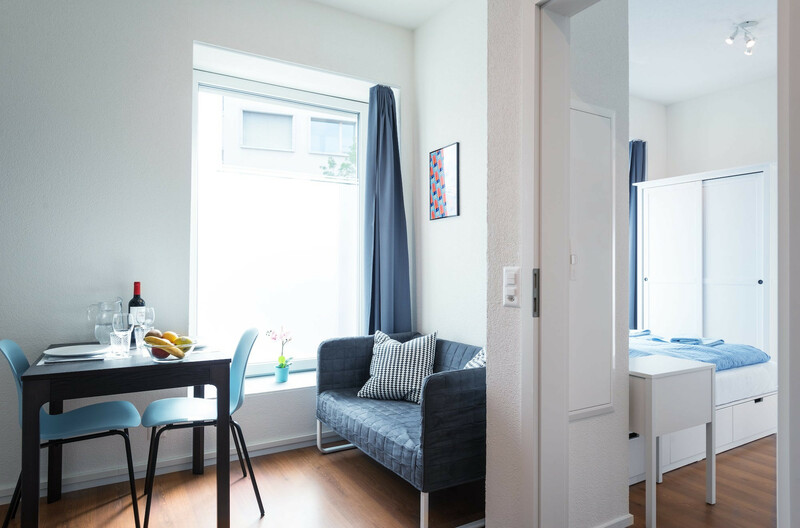 The apartment has two rooms. 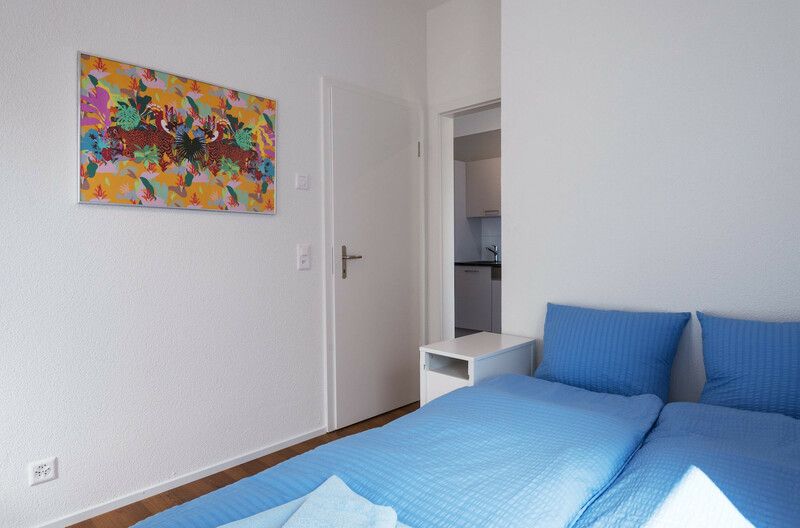 In the bedroom you will find a large double bed. 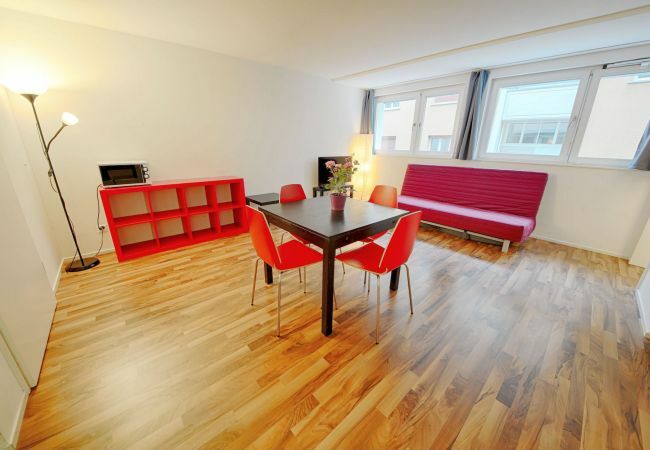 In the living room there is a comfortable sofa and a sitting area with table and chairs. 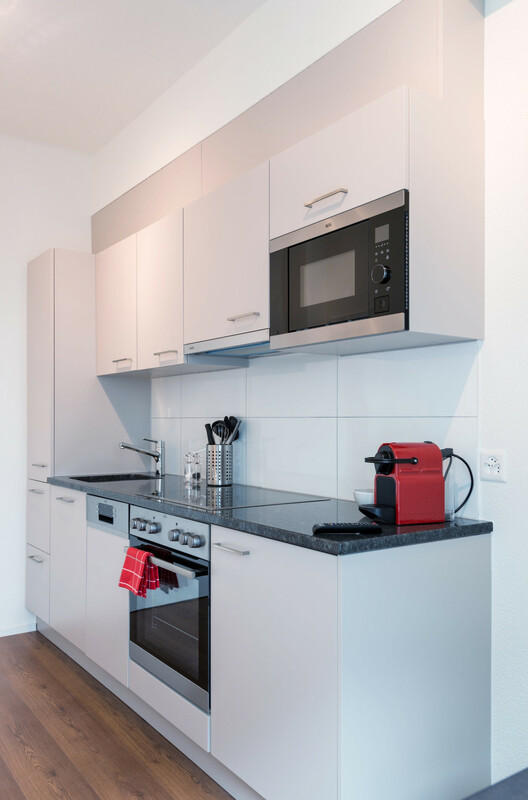 In the fully equipped kitchen you will find, among other things, hotplates, a microwave, a refrigerator and many more extras. 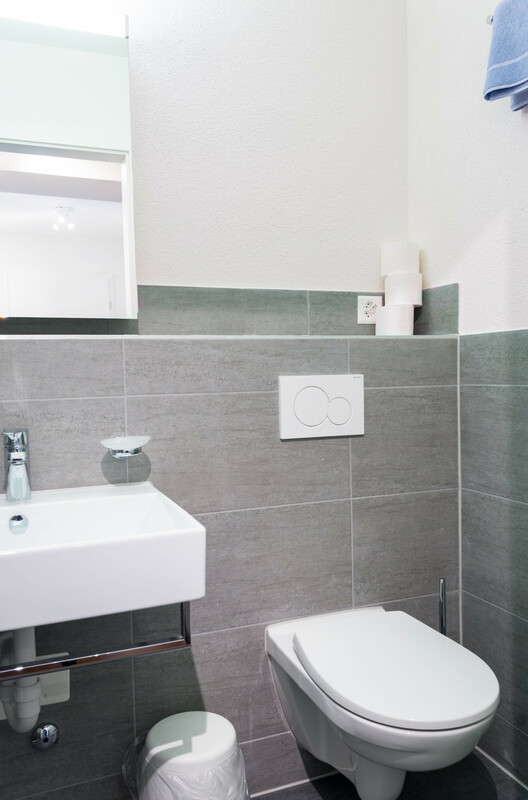 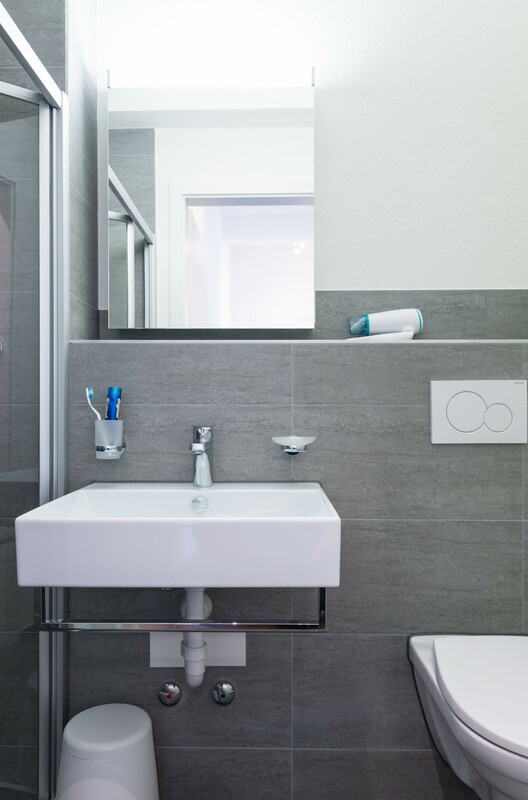 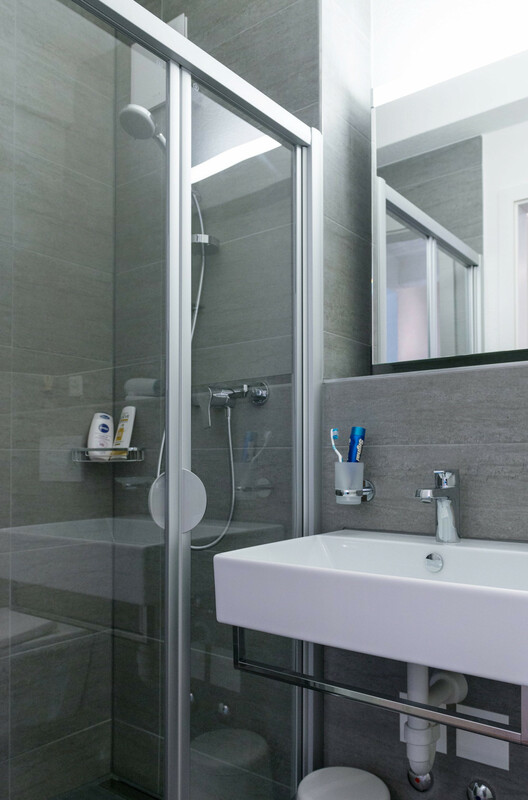 The apartment has a bathroom with shower and toilet and a private terrace. 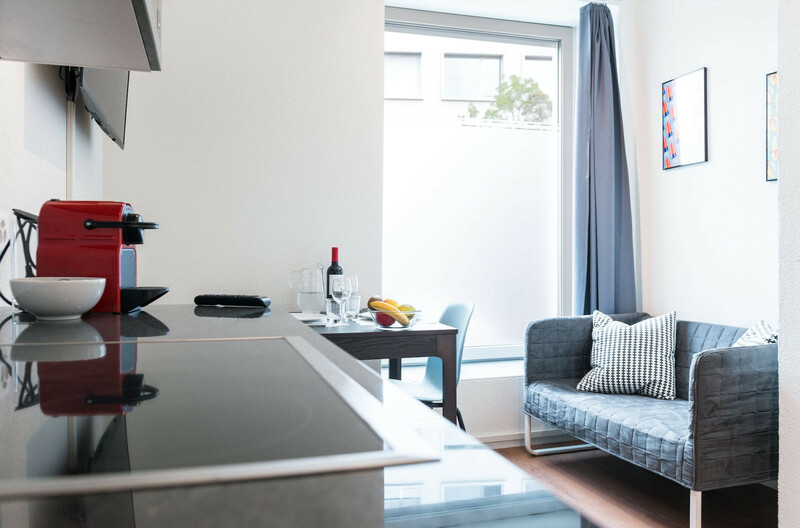 Wi-Fi internet, satellite TV with international channels, monthly cleaning (from stays longer than 45 days), towels and bed linen are already included in the price. 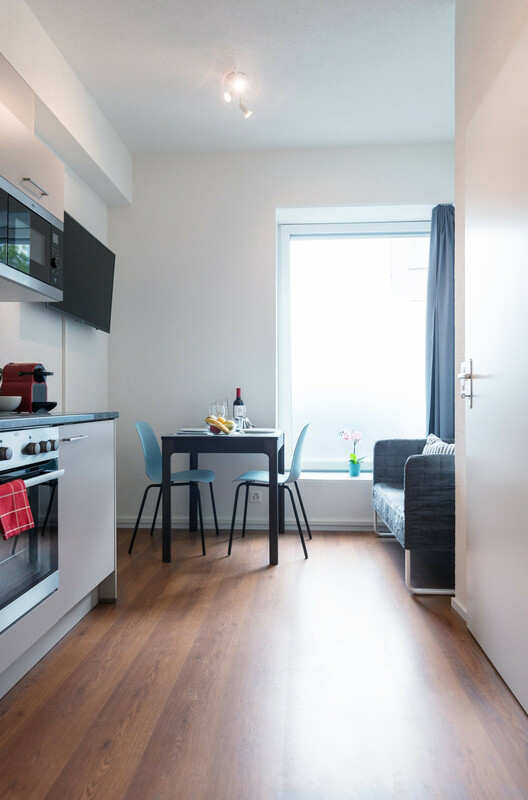 1 TV, TV Satellite (Languages: Spanish, English, German, French, Russian), Stereo, lift, terrace, iron, internet (Wi-Fi), hair dryer, 23 m² property, pet-friendly, central heating, 1 fan.